The Berthe Villa, more commonly known as “La Hublotière”, was built by the architect Hector Guimard from spring until autumn of 1896. This is the first Art Nouveau villa built by Hector Guimard and a contemporary construction of the investment property located in Paris 16th district, the “Castel Béranger” (1894-1898). These two buildings can be compared. 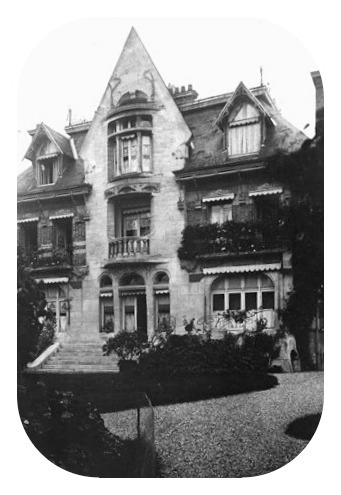 Apart from the attention to symmetry, the style of the Berthe Villa resembles that of Castel Béranger. The Berthe Villa, a part of French cultural heritage, is a great testimony of the first part of Guimard’s career. At that time he developped the Art Nouveau style and his personnal architectural language. The house has three floors and each facade reveals its own originality and identity. With sub foundations looking like millstone, reminding us of medieval times, it was built in stone and brick. Despite having a solid appearance, the house remains light and attractive. To the right of the property, the opening gate, made of iron, gives an immediate feel for the house, with its beautiful “green stems” and gracious curves. This constitutes the main characteristic of Guimard’s style and is to be found in most of his work. The main facade, which looks onto the road, reveals an almost prefect symmetry. The central bay lends its curves to the form of the bow window. The ground floor is formed from two arched widows which give onto a little porch, as well as a large centred opening onto a few stairs. On the first floor, four simple and rectangular windows with wrought iron balconies are put in contrast with the imposing centre window, and its respective curved stone balcony. The height of each window is decorated with ornamentations similar to the ones found on ceilings inside the house, only with more opposing motifs. 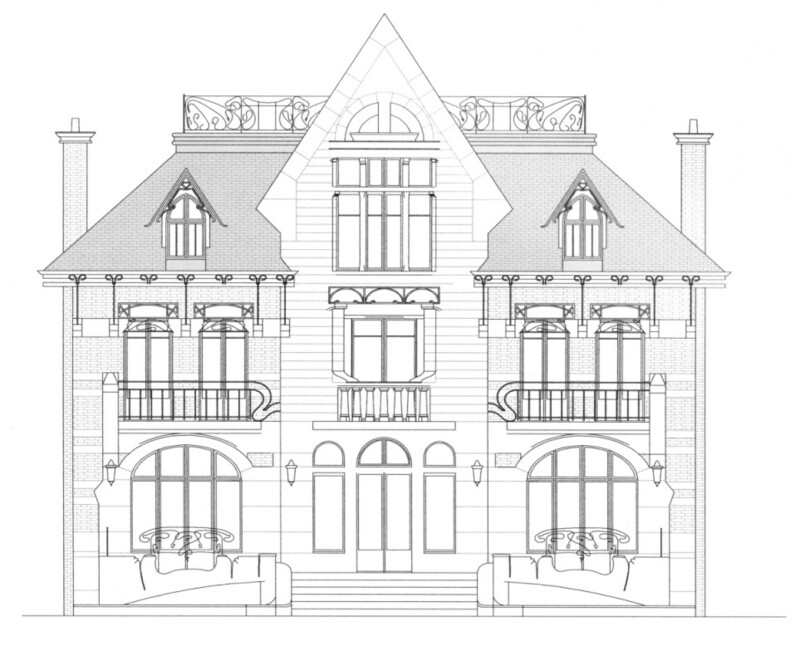 The top floor presents two dormer windows which surround the main bow window, and the roof climaxes on to a terrace, whose boundaries are delimited by wrought iron rails, like a crown on a king’s head. The main entrance is on the right of the house behind an arched porch and opens onto the garden. The chimney breast surrounds the ground window and at each level rests on different bases. At basement level there are three portholes behind wrought iron bars which may explain the house’s name, “la Hublotière”, as “hublot” in French means porthole. There is but one window on the first floor, whose similarity to the windows on the front façade is its only common element. This facade deserves a lot of attention since it presents many particularities and is in complete opposition to the front. Totally asymmetric, there is again a central bay, but the architectural organisation is completely different. To the left we find the large archway of the entrance which creates a surprising sense of depth. Above are two windows and a dormer window, very much like those of the front facade. The central bay is imposing and offers many singular forms which follow the rise of the interior staircase and ascend as far as the roof. The lines and curves give a real feeling of movement and dynamic to the whole facade. A little white door at the bottom allows direct access to the staircase and is adorned with wrought iron in the same style as the balconies. To the right, the windows are placed in a haphazard fashion. They are different shapes and sizes, castle-style. The dormer window, like the others, frames the whole movement. This is the least visible facade and the one that presents the least originality. However, it reveals various details of each of the other faces. 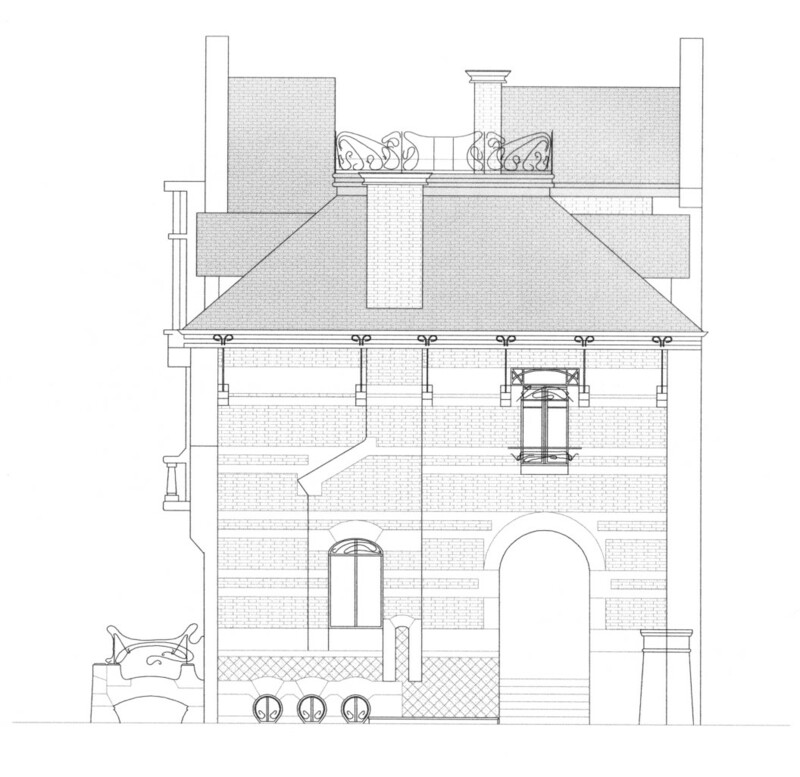 There is a similar window to the front, the portholes and the chimney of the right lateral facade and the asymmetry and disorderly aspect of the back. 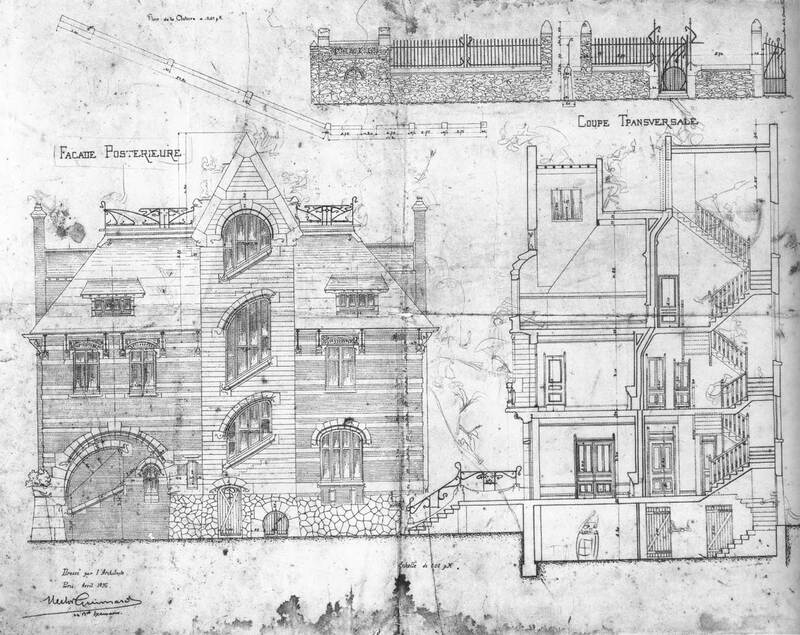 First plan of the villa Berthe by Hector Guimard : back facade, cross section and closure wall. April 1896. Le Vésinet archives. 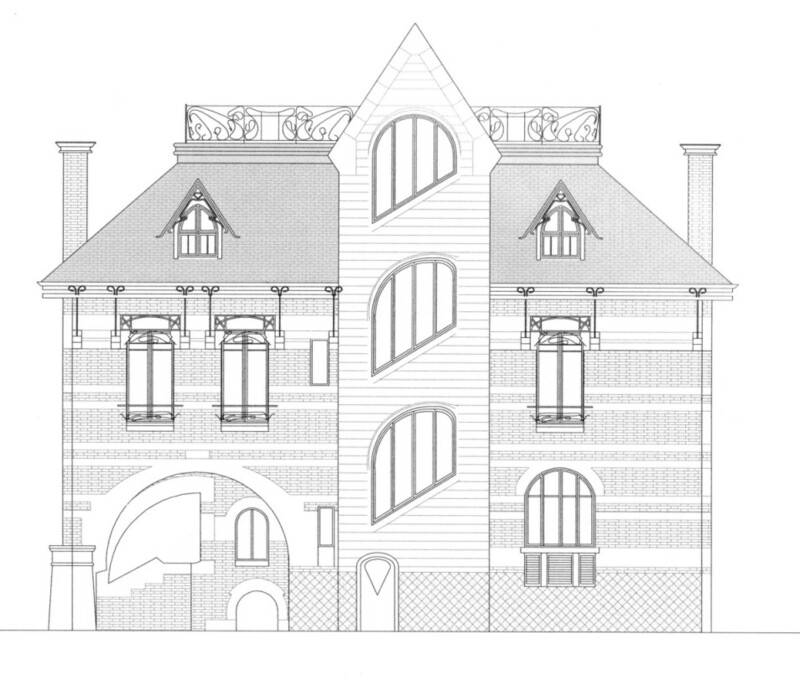 This house of the Vésinet is a remarkable symbiosis of a simplified new gothic influence. Guimard was inspired by Viollet-le-Duc, whom he looked on as his master, and by the abstract naturalism movement which he so appreciated. The exterior and interior architecture gives an unusual result, however remains a very agreeable place to live. 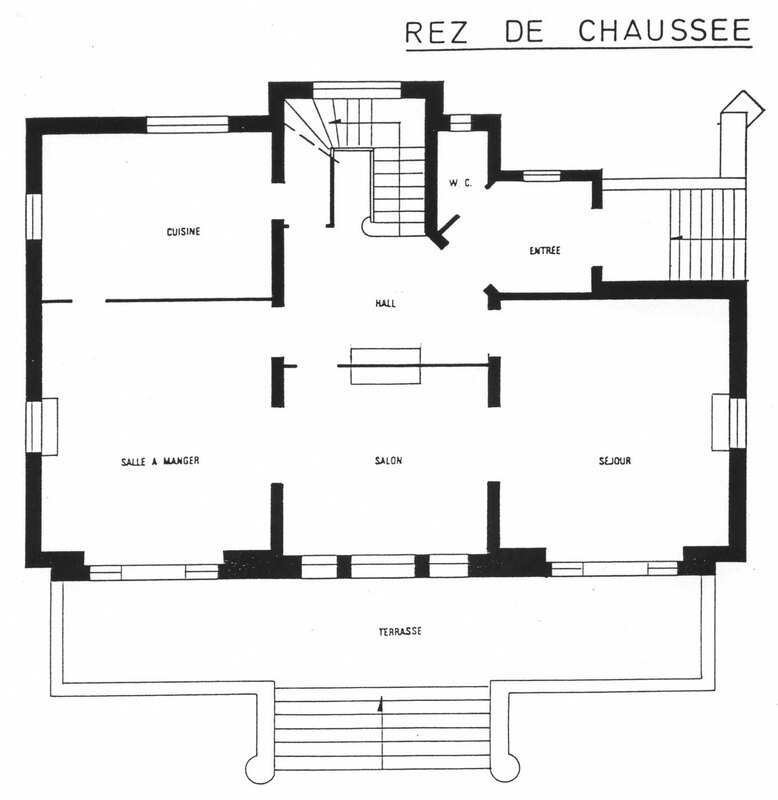 Guimard not only designed a distinctive architecture, he proposed the interior design as well in order to turn the villa into an pleasant and comfortable place to live-in. The inside surface of this property is around 375 m². Starting in the 1870’s, more attention was paid to light by the artists. The impressionnists went and painted outside, looking for the light they would release on their canvas, like in Renoir’s painting “Le bal au Moulin de la Galette” (1876). At the end of the 19th century, light was also a great concern for the architects. 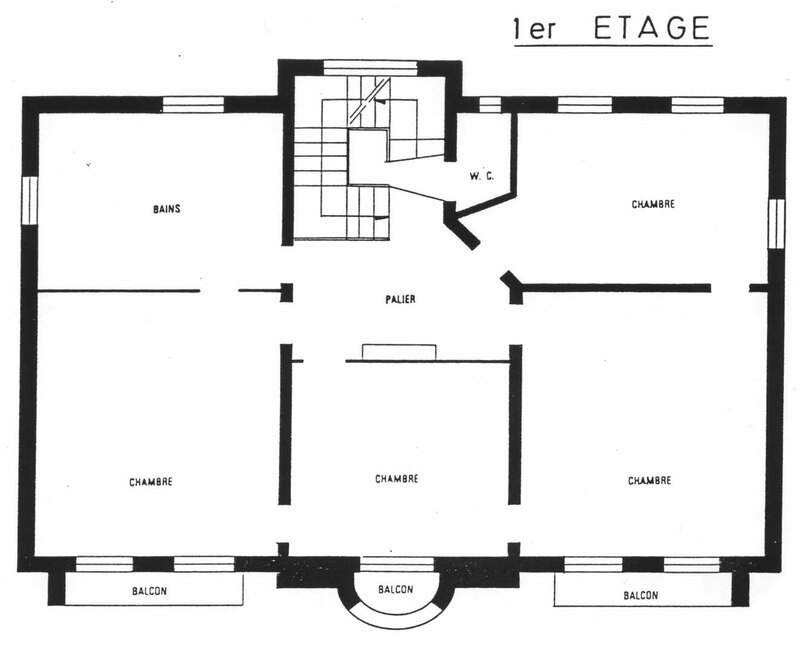 In Art Nouveau’s architectural works, one can find the ambition to organize volumes according to the light or to arrange rooms according to their uses. When the Belgian architect Victor Horta designed the Hôtel Tassel in Brussels in 1893, he transformed the staircase into a well of light. In La Hublotière, light comes freely into the rooms through large and various openings. On the ground floor Guimard has put wide arched windows directly onto the terrace. Thus the row of reception rooms (living rooms and dining room) set inside are well lighted up. 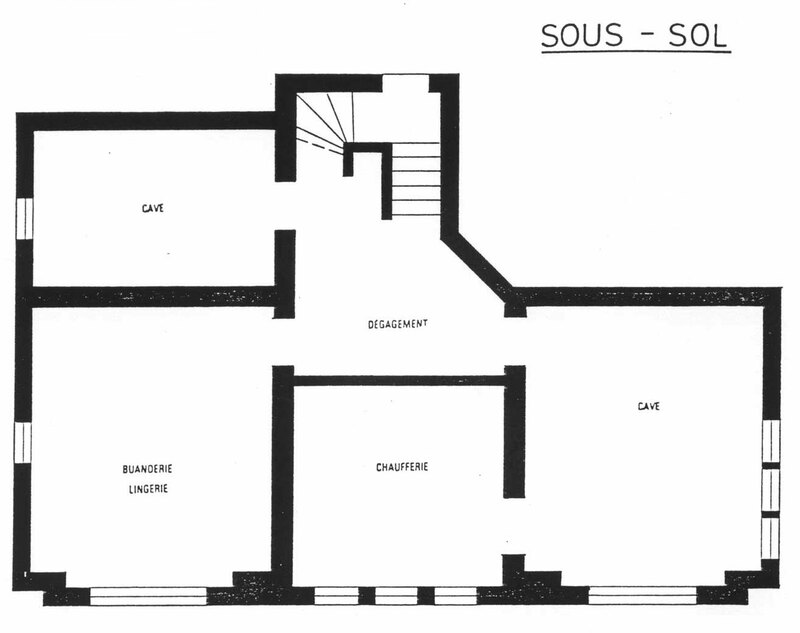 Moreover, in these rooms, above the fireplaces Guimard has set windows opening onto the lateral facades. On the ground floor the three reception rooms are divided but can be connected by opening large doors, so the light streams into the house. The interior distribution has remained authentic. The house comprises reception rooms on the ground floor (completed by the kitchen) and the private rooms in the upper floors. 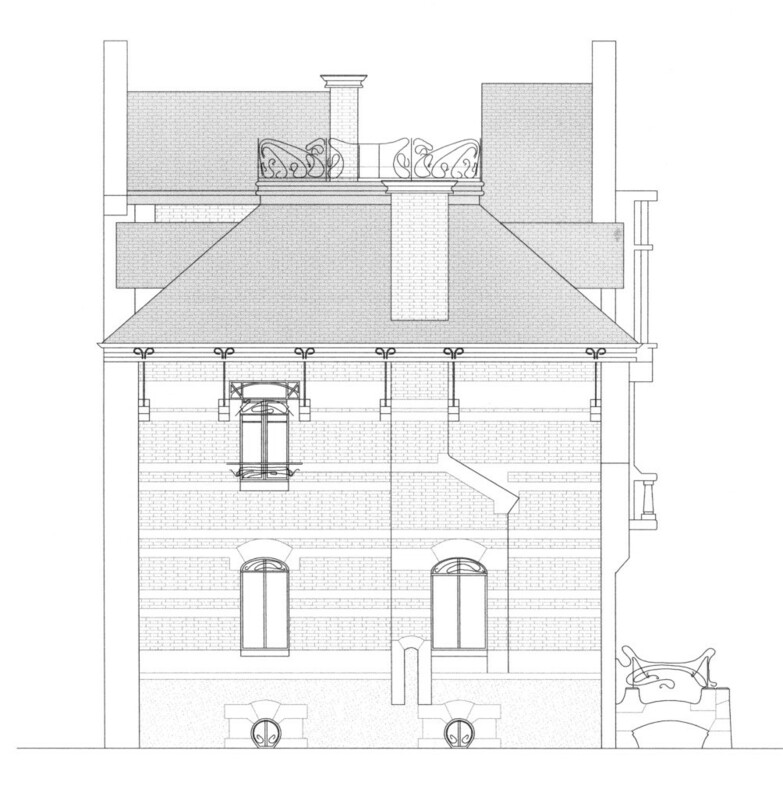 On the first floor Guimard has again placed the three rooms onto the front facade in a row. Each bedroom has got its own opening and its balcony. 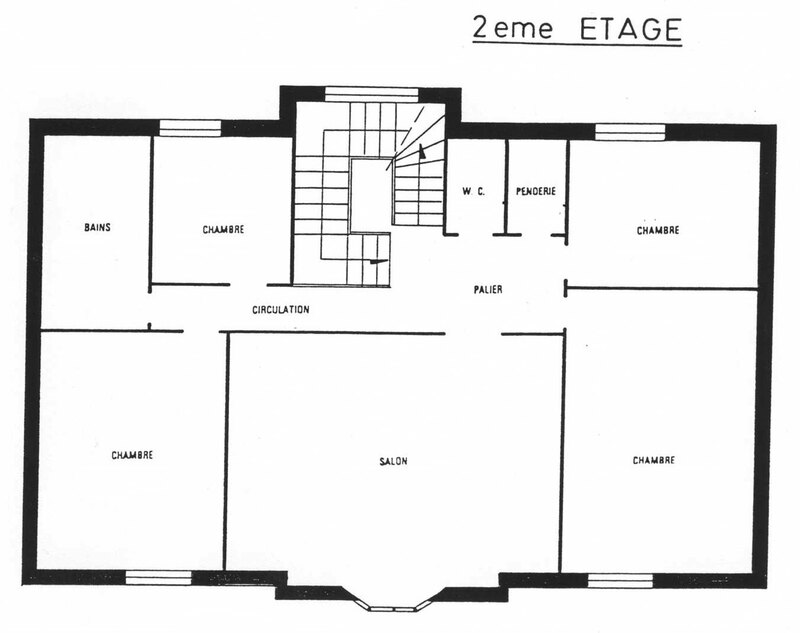 These separate rooms are also linked by doors in a row. The fluid articulation of interior spaces is a great objective of the architect. On the top floor there is what is traditionnaly called “the music salon”, behind the bow-window. >> Supporter of a “total art”, Guimard has designed the interior architecture for La Hublotière. He intended to give an artistic dimension to modern housing. He thus created a masterful turning staircase. It is the only one in the villa and serves the upstairs rooms and the terrace on the roof. Made of teck wood, it is composed of fluted balusters and curved pommels. Nature is often used as an image to characterize Art Nouveau. Here the staircase is like a tree which is growing up : the landings become larger and larger as you go up. As for the ceilings of the lobby and of the rooms upstairs, they are adorned with stucco waves which make a bright element opposite to wood beams.